‘Take Shelter!’ was usually the warning from the police whenever presenter Ant McPartlin decided to drive home from the pub. Here though Take Shelter is a film starring Hollywood favourites Michael Shannon (The Shape of Water)and Jessica Chastain star in a highly acclaimed, mesmerising psychological thriller. Curtis LaForche (Shannon) lives a contented family life in a small Ohio town with his wife Samantha (Chastain) and their six-year-old daughter Hannah (Tova Stewart). When he begins to have recurring nightmares of an impending apocalyptic storm he questions his sanity but prepares for the worst by building a storm shelter. 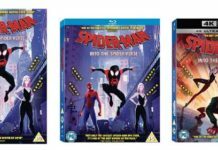 As he becomes increasingly plagued by visions his behaviour grows ever more erratic, alienating friends and putting his livelihood and marriage in jeopardy. Are his visions premonitions or is Curtis losing his mind? Directed by Jeff Nichols (Midnight Special) Take Shelter is a gripping, edge of seat drama earned plaudits galore on its cinema release and now arrives in stunning high definition, with new and archive special features, including cast interviews and a brand new director interview. Take Shelter will be presented in limited edition packaging and includes a stunning collector’s 40-page perfect bound book and will be available from 3 September 2018. With its astounding atmosphere of impending doom and powerhouse performances Take Shelter is one of the most compelling thrillers of recent times. What film starring Michael Shannon won the 2018’s Oscar for Best Film? Entrants must be residents in the UK. There is no cash alternative to the prize stated. The prize is not transferable and no part or parts of the prize may be substituted by the winner for other benefits, items or additions. Winners will be picked by the site. Winners name, e-mail address and address will be passed to a third party provider for contact and prize delivery. 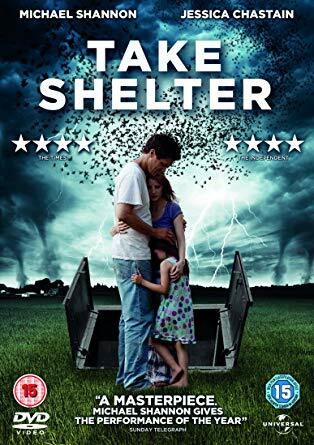 Here’s the trailer for Take Shelter……. 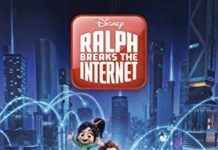 Win a DVD of ‘Ralph Breaks the Internet’……. 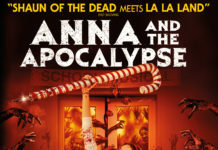 Win a copy of Anna and the Apocalypse – a horror/comedy/musical…..
Actress Ana Asensio talks to us about making ‘Most Beautiful Island’…….. Oasis documentary to be called……. When Keanu Reeves was blacklisted ……..
AnyGoodFilms? is here to celebrate the fine and the feckless in film (and usually at the expense of our Editor who can best be described as half man, half beast and usually half cut). Frankly it should be the Editor doing this intro but he got distracted by the fine ales served at the pub round the corner. But anyway we hope you enjoy our, often irreverent, reviews, fact filled features, and competitions plus a load more that we hope to add over time. This will be the best site in the world .......called.......um....... AnyGoodFilms? Please feel free to contact us – we’d love to hear from you.